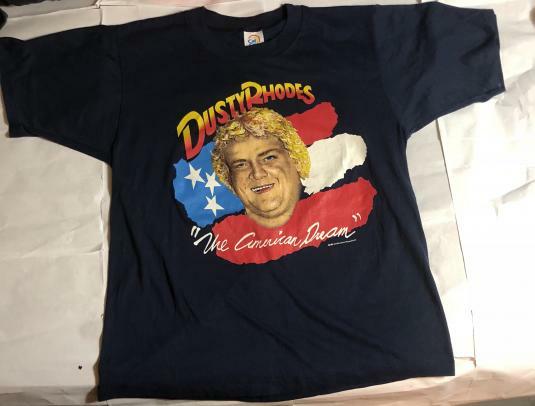 Vintage 1986 Dusty Rhodes “The American Dream” T-Shirt! This is a 1986 Jim Crockett Productions Dusty Rhodes “The American Dream” T-Shirt. This National Wrestling Association piece is in Excellent condition and appears to be deadstock and printed on a Cal Cru. Excited about this!